Cool and casual! With its easy caftan silhouette, adjustable front drawstring and V-neckline, this cover-up makes a flattering piece for day or night. 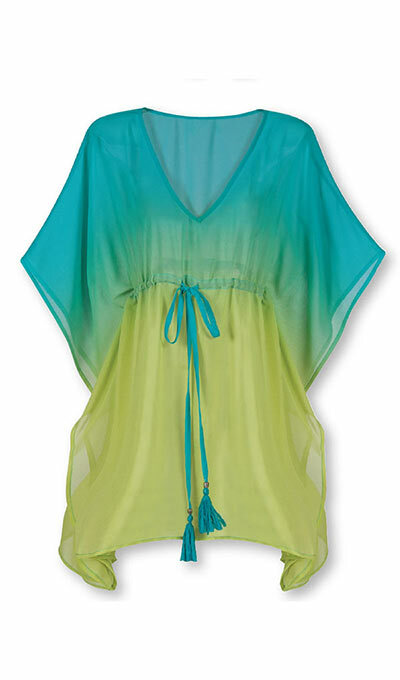 Toss it over a swim suit or shorts and a tank for day wear or pair it with loose slacks for a bit of boho glam. Polyester. Machine wash. Imported. Approx. 32"l. One size fits most.